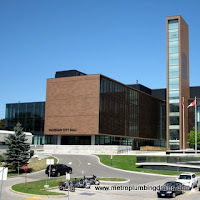 Metro Plumbing and Drains provides commercial and residential services associated with the plumbing and draining systems all over the Greater Toronto Area, including Vaughan Ontario. Many drain related problems happen due to the neglect of simple maintenance for their plumbing and drainage systems. Majority of the times this happens unintentionally. Some homeowners are too busy with their everyday routines, others take it for granted assured of its 100% functionality. Many just simply do not know how to maintain it, so when an emergency strikes they are taken by surprise. In any case, Metro Plumbing and Drains would like to remind you one more time about the importance of the proper maintenance of your plumbing and drain systems, to avoid serious problems. Everybody knows that when your drains go wrong, it can turn into a complete nightmare. 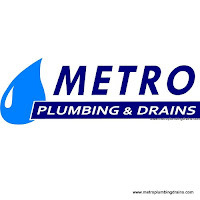 If you are experiencing drain clogs, blockages, bad smells coming from your drains – please do not wait any longer, call Metro Plumbing and Drains. 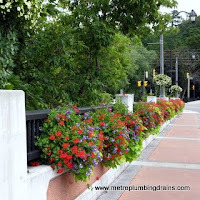 Whether it is drain unclogging or drain cleaning – at Metro Plumbing and Drains we've seen it before and we've fixed it before many times. 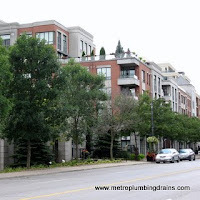 Metro Plumbing and Drains makes it easy and affordable for the homeowners to maintain their drains and pipes in a simple and efficient manner all over Vaughan and the GTA. Hiring a professional plumbing company can save you both time and money. We use the latest technology and most effective methods that are available in the plumbing industry. 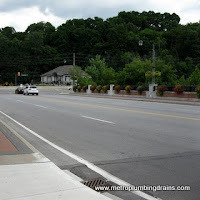 So when it comes to drain cleaning and other drain related services, Metro Plumbing and Drains has the expertise and all necessary tools to solve any problem. For instance, the most popular method of pipe examination is the use of the drain video. This gadget is a real breakthrough for today's plumbers, as back in the day the process of detecting a problem in a pipe was a complex and messy procedure. Now we use a digital camera attached to a snakelike rod, and push it down the pipe allowing the plumber to completely observe the insides of pipe on the screen. It effectively helps to locate any problem such as, cracked, broken, rotting lines, clog ups, leaks, blocked areas etc. 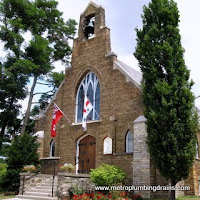 Metro Plumbing and Drains offers a free drain camera inspection with any drain project completed by us throughout Vaughan Ontario and the GTA. 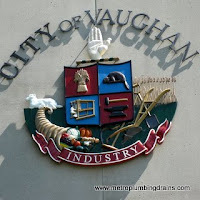 Please Call us 24/7 for any drain problem in Vaughan.